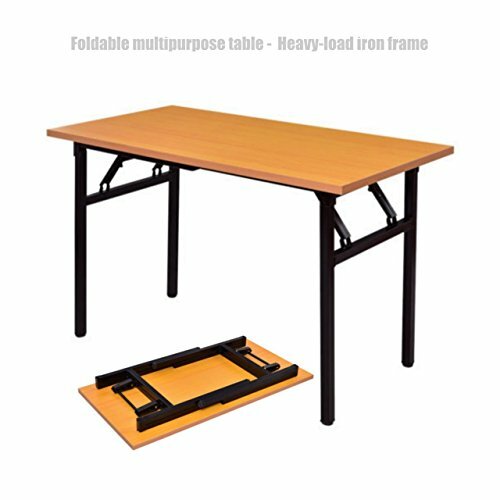 • Multi-function: can be used as office workstation, meeting desk, home desk, computer desk etc. Very easy to assemble. Sturdy well worth it for the price! I would recommend it for anybody who has a laptop or computer. I was really surprised it got here quick and everything was right in place thank you. I was so happy when I knew that it is so easy to put together, I found it just as seen on the picture and has a very good quality & saves space. Recommend every one to buy it.